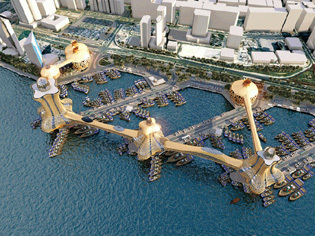 A series of epic fantasy towers connected by air-conditioned bridges with moving floors has been unveiled for Dubai. Based on the tales of Aladdin and Sinbad, Dubai is planning to construct a series of epic fantasy towers in the city’s oldest region, Dubai Creek. Featuring curved glass domes and serpentine walkways, Aladdin City will add a touch of fantasy to an ancient port site, which has UNESCO heritage status pending. The plans comprise three towers of 34, 26 and 25 storeys, which will provide 110,000m² of commercial and hotel space, as well as residential units for 160,000 residents. 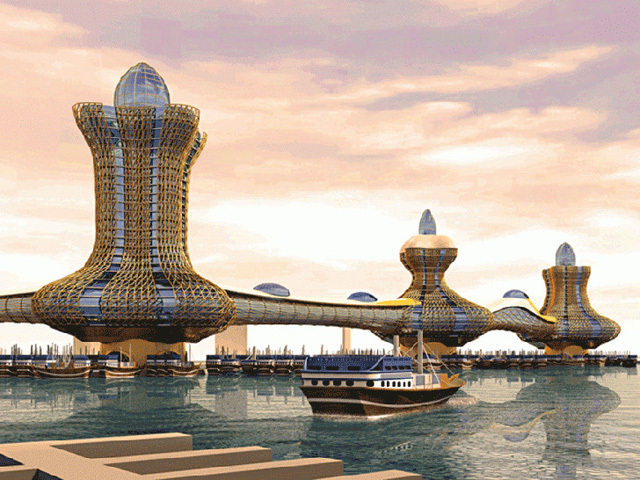 Air-conditioned bridges with moving floors will connect the towers, and will be designed in the shape of exotic and fabled creatures such as dragons and snakes. The towers will offer views of the Creek, and the city's old and modern horizons, including the Burj Khalifa. 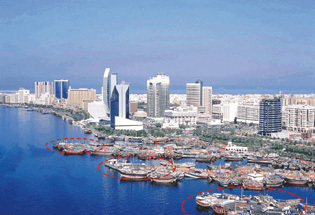 The architectural form and content for the project takes into account the history and heritage of sailing vessels from Dubai Creek, where trade ships date back to the 11th century and would frequently voyage to the coast of East Africa, India and China. The project is expected to boost Dubai economically in its long-term goals by increasing tourism, especially to Dubai in the run-up to Expo 2020. Construction is slated for later this year.